Today we map the framework for business growth in 2019 anchored strategically to achieve trusted consumer relationships in the year ahead. As we begin this journey, it is important to note the incredibly important work by the Food Marketing Institute compiled in the “Power of Health and Wellbeing in Food Retail” report. In our estimation one of the best analyses FMI has produced in recent times. This is a forward-thinking review created under the experienced leadership of Susan Borra of the FMI Foundation, and executed with persuasive evidence by David Orgel of David Orgel Consulting, and key data supplied by The Hartman Group. It is also a remarkable summation of what Emergent has been forecasting and publishing in various venues for the last five years about evolutionary changes in the food and beverage industry. What’s ahead is a deeper dive on the strategic priorities, areas of focus for planning, and a healthy helping of relevant consumer insight data. Thus it is job number one at Emergent: to earnestly pursue insight into the hearts and minds of consumers – their wants, wishes, dreams, aspirations, fears and concerns. It is in this effort to get ‘underneath’ that we more fully grasp how consumer relevance and engagement can be achieved. Make no mistake, it’s more difficult to be seen and heard than at any other time in modern marketing history because the consumer controls the levers of commerce – and talking ‘at them’ is a recipe for disconnect. Thus why relevance matters greatly. Dear reader, here we will summarize the most important and salient points and data that should be reflected in go-to-market planning for the year ahead. Simply said, this is a great way to kick off the year – offering firm, insight driven strategic guidance on what matters to people and its influential link to their purchase and shopping behaviors. Armed with this understanding, the path to trust and relationship becomes clearer. As we’ve said many times before, genuine relationship is everything. Consumers are not walking wallets; they are real, living constituents – and to the extent businesses can make a meaningful difference in their lives, the opportunity to earn affection and spending multiplies. Without consumer relevance and resonance, food and beverage brands cannot gain the ear and interest of consumers who have more quality choices, more channel options, more control and power than ever before – power that will quickly mark the winners and losers in the next 12 months and beyond. The number one opportunity for brand and food retail resonance and business traction: leveraging Health, Wellness and Wellbeing. Consumers across all age cohorts have fully connected the dots between the quality and types of food and beverage they consume and their overall quality of life. For this reason, the very definition of health and wellbeing has expanded to include a broader array of key lifestyle attributes consumers care about such as emotional health and happiness. Whereas “healthy” was once more narrowly defined as weight management and calories in and out, today it is about food quality and the origin story behind the food. This interest is fueled by consumer demand for transparency as a new prerequisite for creating lasting, meaningful relationships with the consumers we wish to serve. Yes that’s serve, and not sell! Transactional thinking can infect the marketing playbook with ill-advised strategies and foster brand behaviors the consumer immediately repels as advancing the company’s commercial interests over their own; selling at them rather than cultivating their trust which precedes any willingness to spend money. Health – Number one is the growing influence of healthier eating on brand choice. Healthy, by the way, is increasingly a quality story not a sacrifice game. Healthy and indulgent are cohabitating. Nutrition – Consumers are now looking at nutrition density in the foods and beverages they prefer. This tracks closely with the table stakes demand for greater transparency around product ingredients, sourcing and manufacturing. What was once described as a clean label is transforming into clear This is marked by disclosure, clarity, openness, honesty and more guidance not less. Enjoyment – Taste is fundamental to the human experience. Higher quality food experiences can be found everywhere and the use of fresher, real food ingredients is elevating the taste experiences people crave. Food is to be savored and enjoyed. It is an adventure. There’s a hedonist lurking in everyone in varying degrees. Discovery – Meal kits might offer an excellent example of how the food industry feeds low-risk culinary experimentation. The growth of new cuisines, tastes, global flavors and use of more exotic ingredients serve to expand the horizons of what consumers want and expect. We all want more choices than meatloaf and fried chicken at the Deli counter. Connection – Food is a social lubricant. It is a facilitator and player in how we relate to and engage our friends, family and business associates. 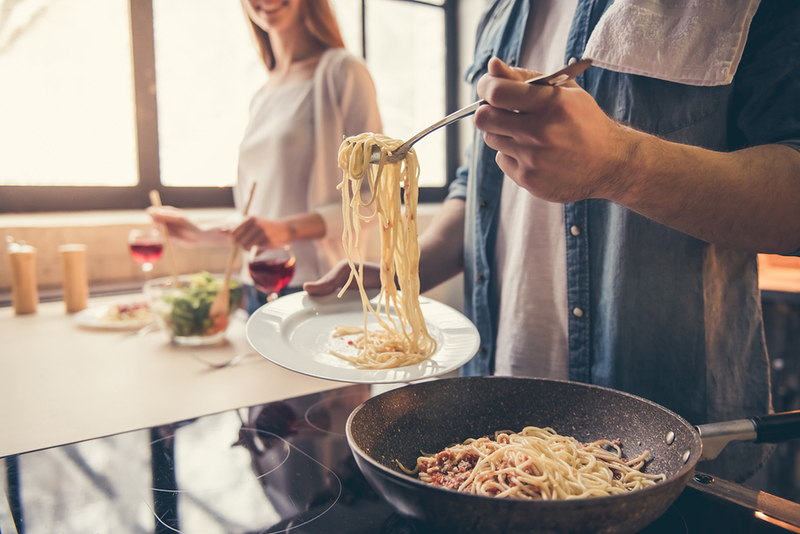 No surprise here that according to the FMI report, 84% of consumers say it is very or extremely important to have a family meal together at home. People hunger for the connectivity and social discourse around the table. Food is an essential player in our social lives. Great food and great conversation are partners in life’s most memorable moments. We stand today at the threshold of a new developing category in food and food retail. Early movers in this space stand to benefit from ‘first with the most’ opportunities that fall from being able to define what this new category is about and what constitutes best practices. This is an evolution and elevation of food and beverage solutions – products that aim to provide direct, measurable benefits to health and wellbeing. We’re not speaking just about weight management, although that is a component. We’re talking about food solutions that are an alternative to drug therapies or as preventatives to needing drug therapies. In case after case we find that diet plays a role in the onset of disease. So, too, we’re discovering that foods high in fiber, plant sterols, Omega-3s, antioxidants, prebiotic and probiotic ingredients can be ‘dosed’ to achieve specific health benefits – without the often debilitating, unhappy side effects that can accompany medications. Step One Foods in Minneapolis (disclosure: Step One is an Emergent client) is an excellent example of this emerging trend. Step One’s line of packaged foods including bars, smoothie and pancake mixes, oatmeal cereal and toppers are clinically proven to reduce LDL cholesterol at levels that match or exceed the outcomes from statin drugs. Cardio-vascular health – not surprising as heart disease is the number one killer in America, and effective options like Step One speak directly to this need. Weight management – a perennial concern, weight management remains connected to healthy lifestyle and a sense of wellness and wellbeing. Energy – the link between energy and lifestyle satisfaction is palpable. Busy lifestyles and career demands make energy an important priority for people. Brain function – memory and cognition are two areas we can expect more innovations to surface in as people increasingly look for a mental edge. Digestive health – we are only beginning to see the growth in attention paid to inflammation and its role in aging and disease. This will continue to get greater innovation priority. Earning trust may be the single most important objective in the development of sound, successful marketing plans. This is due in no small part to its pivotal role in securing consumer interest and engagement and the avalanche of evidence that brand trust continues to decline. Trust precedes any kind of brand/consumer relationship. Demand for transparency is the ante in curating trust. Consumers define transparency as “open, honest, clear and visible.” In short being transparent, providing access and more information about how food and beverages are made and what’s in them. Emergent guidance: build a suite of communications and content around how you make your products, the stories of suppliers and their work, what happens at your plant, what your standards are on quality, safety and sustainability. Emergent guidance: this insight suggests the efficacy of consumer-generated content, investment in social communities and relevant content, and use of respected third parties to validate what food brands want consumers to know and believe. There will be more competitive shifts and changes for food retail in the year ahead. So how does this play out as retailers seek to re-invent themselves? In Hartman Group’s “Food Shopping in America” Report, a consumer survey of retail channel preferences showed supermarkets scored well on assortment, products consumers want and preferred brands. But indexed lower than other channels of retail on a good place to browse and shopping enjoyment. As center store continues to be dis-intermediated by e-commerce, competitive advantage is shifting to favor specialization and in-store experience. FMI’s report lands on two key areas of opportunity that point the way for food retails to enhance relevance and increase traction with shoppers. Food retail has an important opportunity to answer the consumer’s desire for healthy lifestyle by assuming a stronger role in an area shoppers already think retailers can fill. Consumers believe food retailers are a potential ally and guide on their journey to a healthier, higher quality life. The retailer can operate as coach through access to expert voices, better and healthier food solutions and providing in-store experiences or classes on healthier cooking and shopping techniques. Nearly 50% of consumers, according to FMI’s report, say providing healthier food choices is a way to support ‘Eating Well’ which contributes to ‘Living Well.’ When asked what the components of Eating Well include, consumers saw this as an integration of healthy eating and enjoyment. But perhaps the most important business growth opportunity for 2019 lies in the resurgence of home cooking. According to Hartman Group survey data, 88% of consumers say they eat healthier at home than at restaurants. Home-prepared food carries with it a healthy halo. Knowing how important eating with family at home is to consumers, retailers can answer this call with greater investment in prepared food options from complete menus to meal kits and other prepped ingredients. What’s important to note here is the enhanced demand for better quality food, unique meal experiences and culinary exploration. Thus retailers need to up there hot bar game from ribs and rotisserie chicken to more interesting, chef forward dishes. In sum, it’s about activating wellness solutions from produce, to center store to foodservice. Putting adventure and discovery back into food shopping will go a long way to creating advantage and loyalty even as consumers move increasingly to online shopping for everything else. Looking for more food for thought? Subscribe to our blog. Bob Wheatley is the CEO of Chicago-based Emergent, the healthy living agency. Emergent provides integrated brand strategy, communications and insight solutions to national food, beverage, home and lifestyle companies. Emergent’s unique and proprietary transformation and growth focus helps organizations navigate, engage and leverage consumers’ desire for higher quality, healthier product or service experiences that mirror their desire for higher quality lifestyles. For more information, contact Bob@Emergent-Comm.com and follow on Twitter @BobWheatley. Growing consumer concerns over health and wellness. Evolving expectations around higher product quality. Emerging calls for greater transparency and truth in labeling. General cynicism toward marketing that sells ‘at them’. In study after study consumers continue to show their lack of trust while demanding more honesty from brands vying for their spending — with rewards going to those brands that ‘get them’. Some marketers have attempted to force-fit traditional claim and assertion style marketing tactics into digital platforms but with little success. To consumers, it still smells like conventional spin so they work to avoid it entirely. Other marketers have smartly moved their strategic game plan to focus on building more respectful consumer relationships around alignment with lifestyle interests and aspirations. 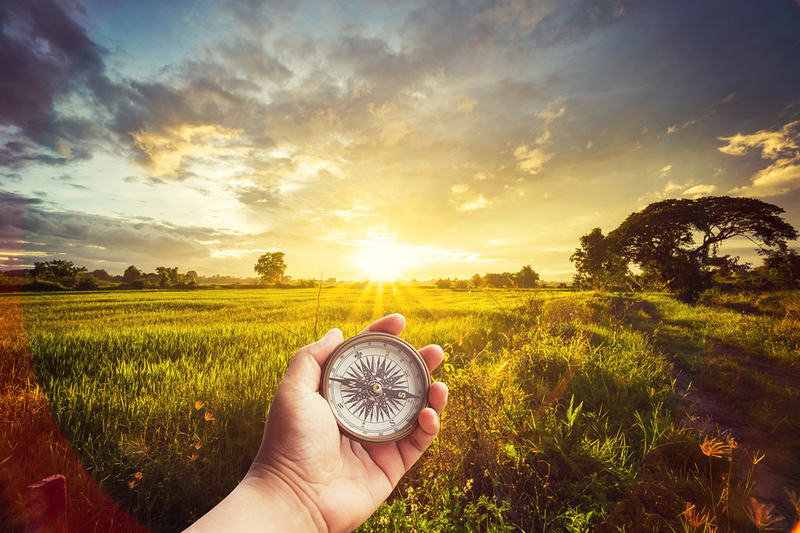 Yet new information and insight now coming to light suggests, while lifestyle connections remain important, there’s a new sheriff in town governing what breaks through the clutter to secure brand consideration and selection. In many respects, this revelation makes absolute sense based on our deeper understanding of consumer skepticism and absence of trust combined with their desire for honesty, authenticity and expressions of a true soul coming from brands and businesses they choose to favor. We’ve come to a place where marketers recognize consumer interests more fully, texturally, as they evaluate new and emerging food brands with a merit-based system. It’s important to note here first, the fundamental requirement for business growth in any category requires an unshakeable bedrock of clear brand differentiation. Around the unwavering consumer call for standout uniqueness is an equally strong desire for better products that are also better-for-you, and culturally connected to relevant social issues such as sustainable farming, green environmentally-friendly operations and animal welfare. In a recent Premium Marketing Strategy report by food industry trend expert The Hartman Group, a survey question was posed: what kind of narrative would likely cause you to select a new premium brand? The answer wasn’t about better price or taste. Rather, consumers wanted to know more about how the product was made. Followed in close order by a related topic – the source of ingredients used to make the product; in sum, the product creation story. So what does this mean? It’s a gigantic red, neon flag waving three feet in front of every marketer. Consumers want to assess the merits of the food or beverage based on how and who created it. Contained in the details of this product creation backstory is the necessary evidence of quality, healthfulness, and connection to culturally relevant practices and beliefs. Rather than accept assertions on face value, consumers want to peer under the hood, and in doing so, narrow the chance of being influenced by proverbial brand apple-polishing. It’s one thing to claim better-for-you, and it’s entirely another to reveal ingredients, processes, methods and sources that authentically demonstrate healthy and higher quality. How to be the credible brand storyteller – Show Me! So you sell hamburgers… where did the beef come from, who raised the cattle and how were they fed and cared for? About the bun and vegetables used, same need. What are your standards of quality and what about the relationships with your suppliers; their carbon footprints? How is the hamburger prepared, what evidence can be provided about food safety, ingredient integrity and freshness? No matter the category, there’s a transparency story underneath about how you make things, how you source ingredients and what goes on in your kitchens. This is the information that forms the basis of earning brand trust and evaluation of the brand’s relevance to consumer beliefs and cultural affiliations. Said another way, the product creation story isn’t a nice to do, rather it’s a must do in getting to active consideration. Worried that this kind of information demand will be difficult due to weaknesses in your creation story? Then, you have a mandate to make improvements. It may be time to recognize that new premium food solutions are growing while many legacy brand businesses are losing share of heart and sales. 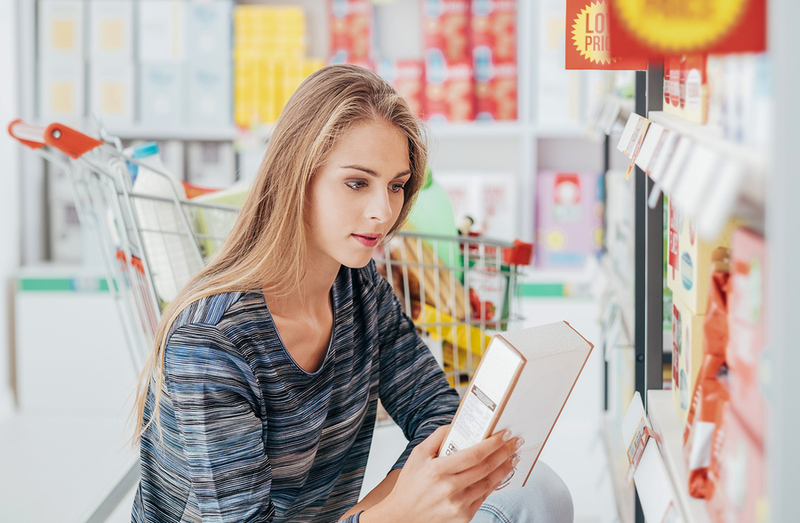 Armed with this consumer insight, the food and beverage path to marketing best practices begins with creating an inventory of competitively strong product attributes. These attributes will inform the rationale for how the product will credibly deliver on its key benefits. Important to note this should be cast as unique attributes that help elevate and separate the product from competing brands, and that make the product better at delivering its promised benefits. Competitively significant attributes are then integrated in storytelling about product creation and ingredient sourcing. This means elevated, premium production and sourcing criteria outweigh benefits in the hierarchy of successful brand outreach strategies. Thus, it’s important to cite value-added attributes not offered by legacy brands. As the decline in consumer trust continues to chip away at the authority curve for brands, what moves in to fill the vacuum left when assertions and claims don’t resonate? A new era of food and beverage marketing opens based on a real-world reality-check about what’s inside the product. Tangible, visible evidence of quality now passes assertions of quality in effectively reaching consumers with the motivating message. What the consumer is really saying: Show Me! Recently Emergent became an active Mentor partner with the Food Marketing Institute’s Emerge platform. FMI, under the leadership of Julie Pryor and Margaret Core, has created Emerge to help nurture the increasingly important population of up and coming food and beverage brands. These growing businesses are gaining attention of the food buying public and occupy an ever more significant proportion of in-store real estate at food retail. This new world of emerging brands is evidence of a dramatic shift in consumer preferences for food choices with a creation story founded in higher quality, more artisanal and sustainable attributes. 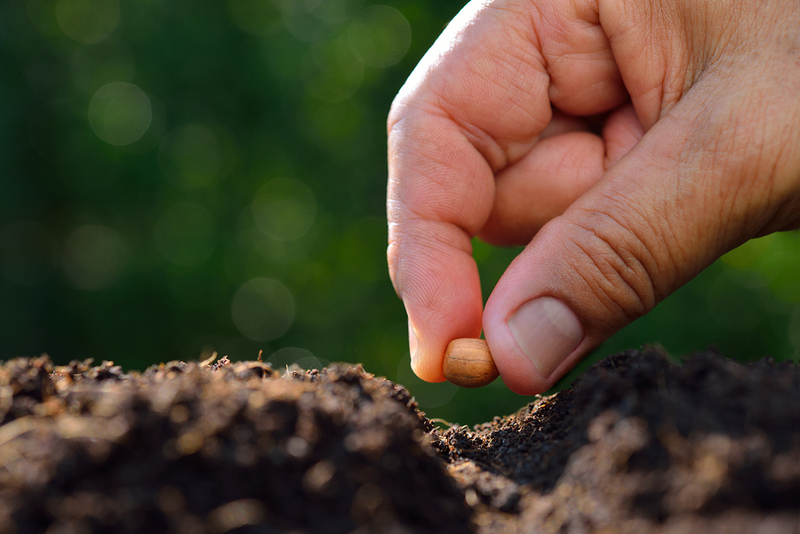 These businesses are often married to a higher purpose that transcends commerce; a purpose aimed at improving the food supply, sustainable farming, battling hunger or some other altruistic commitment that imbues the business with greater meaning. For our part, we enter the FMI Emerge relationship as Mentors – a resource that new and emerging brands most likely would not have access to until later in their development. The goal is to help scale these businesses more rapidly while avoiding some of the mistakes that can occur early in the fundamentals around marketing, packaging, distribution and channel decisions or innovation. The emerging brand growth engine has attracted the interest of private equity investment and large cap CPG looking to participate in this unique, culturally relevant space. Additionally, retailers interested in leveraging this wave must adopt a new set of best practices to help support these new brands that don’t come to the table with deep-pocket promotion and brand-building budgets. As the pendulum swings towards marketplace reward for the more entrepreneurial food brand business – where everything about their origins and path follows the beat of a different drummer than legacy CPG food brands – NEW marketing rules must also be considered and executed with commitment to maintain the specialness of these businesses. What remains true for all participants is an interest in scale. But not scale at any cost. Great care must be exercised in building these brands to make successful expansion a reality in a shorter time span. Wrong moves can violate the very principles that sit underneath why these emerging products got traction in the first place. Application of old-school marketing technique and thinking can interrupt and disrupt the very important reasons why consumers prefer these up and comers. It’s critical that entrepreneurs maintain the artisanal characteristics of their products which is the very reason consumers are attracted to them in their ongoing treasure hunt for new and more interesting, real food experiences. To uncover the right formula for growth, it only makes sense to understand the context that makes these businesses relevant and important to the future of the food and beverage business. Perhaps fundamental here, is the influence of food culture cues on consumer behavior. At one time taste, price and convenience held sway in defining what consumers want. While taste remains an arbiter of anything that ultimately succeeds, other issues command consumer attention and help pull the purchase lever. Consumers now look for cultural symbols and lifestyle relevance in the food and beverages they buy for the very reason they believe that higher quality choices help them secure a higher quality life. Perhaps most evident in early stages of emerging brand development are resource constraints that make optimal investments in marketing more difficult. Yet, it also remains true that superior product experience is most vital to initial sales outcomes. The product itself is the marketing in this respect, and relies heavily on the creation story, higher quality components and more unique formulations to gain ground. Nevertheless, scale is a desired outcome for all involved and thus brand marketing will inevitably become a catalyst. These conditions make intermediaries like FMI Emerge so important in growth and development. Larger CPGs and equity investors alike would also benefit from making contributions and resource investments in emerging brands that extend beyond sales and distribution infrastructure. Our agency, Emergent, is focused on these developing brand opportunities because we believe this is the future of the food and beverage industry, and so we have an obligation to support and address the need for scale on a more rapid trajectory. To do this we help food, beverage and lifestyle brands successfully navigate the sea change from interruption style, talk-at marketing and communications to a more healthy lifestyle relevant and participatory model. In the end, our offer is a team of experienced marketing, communications and operations talent focused on the unique needs of emerging brands. We eat, live and think Emergent. Our goal with FMI Emerge is to help provide this guidance while the industry continues to transform. To our friends in the food and restaurant business: want to know how to get people to, in effect, eat out of your hands morning, noon and night? Turns out delicious and umami are littermates and keys to the culinary kingdom of eating satisfaction, smiles and happiness. These attributes sit knocking at the front door of repeat purchase and visits. Yes, the path to great taste is regularly paved with umami, the fifth taste sense (friend to sour, sweet, salty, bitter) discovered and minted in Japan around 1908 by chemist Kikunae Ikeda. His work determined glutamic acid lies at the foundation of great taste experiences. Ikeda then set about commercializing this epiphany by designing it in crystalline form as a flavor enhancer ̶ commonly known as MSG. The so-called Glutamate was a shot across the bow in refining and defining what it is that humans experience and love about deeper, crave-able flavor. This discovery helps explain why there are more burger and pizza chains than any other form of foodservice business. A cheeseburger with tomato and ketchup is an umami flavor bomb. Thus, perhaps, explaining its lasting popularity across both geography and generations. Ditto pizza. It was in a Galaxy Far, Far Away – the Pacific Northwest’s city of Seattle, where my journey begins as a junior home chef on a mission to apprentice the culinary arts. I discovered a cookbook titled The Sixty Minute Gourmet, published by the food editor team at the New York Times. It famously promised to impart basic French technique to the Yankee reader in short order. I made every dish in the book. Perhaps the chief skill gleaned in the process was saucing and caramelizing. And thus I witnessed how reduction sauces, for instance, could be created to take a plain hamburger patty to an absurdly elevated and refined taste experience. It quickly became clear that any protein or vegetable could climb the deliciousness ladder if a compatible savory sauce pooled above or below. The sheer act of reducing stocks – vegetable, beef, fish or veal – with butter, wine and in some cases (a little bit of) cream was literally a set-up for injecting umami flavor formally described as concentrated savory, brothy and meaty-ness. Relatively neutral tasting chicken could become a culinary tour de force with a proper sauce. Umami isn’t just a highbrow culinary concept. The ubiquitous bottle of ketchup also sits high on the umami ladder, and also probably explains why $8.6 billion of the common red condiment is sold every year in America, a per capita spend of $17.85 per person per year, according to Statista. No surprise Heinz owns about $1.4 billion of that lucre. What’s at work here, in addition to the brothy meaty-ness, is flavor intensity, mouth feel and a redolent savory-ness. When savory is combined with a creamy-like carrier that takes up residence on the tongue, magic happens. The intense salty, nutty richness of correctly aged Parmesan cheese provides another umami-bite example; hence why cheese is, in many ways, king of the umami empire. Translating this understanding into business opportunity can be summed in an innovation cornucopia of opportunity. Bone broth instead of stocks due to its inherent richness, mouth-feel and flavor depth. Soy, Teriyaki, sesame oil and other Asian sauces that drive the experience of a noodle way past its hereditary plain and maybe boring self. Sauces and proteins are a marriage made in heaven and allow not only for amping the delicious quotient but also bringing global flavors for an adventurous twist. In short – bowls, pasta dishes, proteins, salads, vegetables and sandwiches can all be elevated by cranking up the umami index. Sauces and toppings can be a faster path to reinvention and reengineering packaged foods and dishes. Think of umami as flavor paint that accompanies anything it sits on or near, to bring the glutamic acid punch that sends ordinary to extraordinary. The novel use of fresh real-food ingredients to form the basis of umami richness adds to the alchemy of creating flavor without resorting to the chemistry set. In the end, it is deliciousness that wins. Umami is the envelope that enrobes common foods in something special. The outcome is business growth because of the surprise and delight it imparts. I know because here at the Wheatley house, Hamburger Soopreez as we call it is one of the most popular dishes on the family menu due to its umami bath. Thanks for getting us on the road Ikeda-san. Alert: in two short years Gen Z will be 40 percent of all U.S. consumers. They arrive in economic primetime with a distinctive and unique point of view: economic power is a tool for social change and improvement. Dissatisfied with politics and politicians whom they feel can’t be trusted to operate decisively for the greater good, Gen Z-ers see their purchases as influential and an expression of what they want the world around them to believe about their priorities and values. For brands this means young people expect companies to use their influence and platforms for the greater good, to imbue their brands with greater meaning, and to create pathways for participation in something that’s meaningful. 76 percent of Gen Z-ers have purchased a brand specifically to support issues the brand stands for (this of course assumes the brand indeed stands for something beyond its product expertise, business results, and to the benefit of people and society). 67 percent have stopped purchasing a brand or would do so, if the company does not operate in alignment with their beliefs and values. 40 percent have used purchase power intentionally to boycott bad company behaviors and policies, or to influence improvements and change. A more values-driven generation, Z-ers believe what you buy and where you shop or eat is a cultural, and at times political, statement. So it’s no surprise the study discovered 49 percent believe it is vital for a company to have social change initiatives in their mission and planning. Z-ers see mainstream politics as often out of touch with social and environmental issues they deem important, such as gun control and climate change; and politicians as operating in a cycle of self-interest at the expense of others’ well-being as with DACA, healthcare, justice reform, and some aspects of the current political environment on immigration. Importantly, this can be attributed to control. Z-ers may feel public policy operates beyond their sphere of influence, but economic power tied to social change issues, is seen as entirely within their realm of accessibility to participate in something that matters. What’s important to note here is the focus on social change and improvement; a generation of consumers who place priority on helping the world around them, and who expect brands to participate in a meaningful way in this arena with them as a prerequisite to earning and maintaining their business. What is your brand and company mission beyond the balance-sheet interests? And by the way, this is not just a call for philanthropy. Check writing in service of a cause is not unimportant, but this goes beyond donations to how the company’s core purpose is configured. For food businesses this can be about addressing issues like sustainable agriculture, improving the quality and health of food generally for people, fair wages for farm workers and fair trade practices, or taking care of those less fortunate through proactive and tangible acts and programs. Of course, given we live in the era of anything that can be known will be known, it is not possible to do this with window-dressing assertions and marketing that’s disconnected from real behaviors. Z-ers can quickly assess if the brand has a soul or not, or how to sort authentic motivation from business as usual. For this very reason, Emergent has embedded Higher Purpose assessment and evaluation as a core part of our capability – to help clients determine or refine their path to social good and mission that extends beyond product and promotion. Z-ers see this as integral to the purchases they make. What you stand for and how you behave as a brand are under the cultural microscope. Now more than ever, pocketbook politics is a thing to be factored into plans and programs. It manifests from a core belief system sitting in service of society, people, their growth and welfare, planet earth, the environment and government policy. If anything at Emergent we see this as refreshing and an evolutionary improvement that helps advance the role business can play beyond rewarding investors. It’s okay now to espouse beliefs, to enact efforts for social change and to put this out front as a measure of what the company believes and values. The operable point here is the overwhelming desire people have, in all age cohorts, to be a part of something greater than themselves. This principle simply gains more importance among Z-ers who operate with intention in their purchases and active alignment with brands they care about and see as consistent with their values. In saying this, all purchases become a form of symbolic signal. What flag are you waving? The kitchen is mounting a serious popularity comeback as consumers increasingly opt for meals at home over meals cooked somewhere else. While digital grocery buying is on the rise, the net outcome of what’s purchased, regardless of shopping channel, ends up sooner or later in a sauté pan on a cooktop. Yes, it’s true in our online, connected world – in five to seven years, and maybe sooner – 70 percent of consumers will be purchasing food and beverage products online. That ladders up to more than $100 billion in transactions by 2022, according to Nielsen Digital Imperatives report. Of note: we’ve already arrived at the end of borders, boundaries and lanes in channel shopping behaviors. Omni-channel shopping is simply a reflection of the increased comfort level with buying fresh and perishable foods online – the last remaining barrier to crumble in favor of e-commerce growth. What lies ahead is the demand for fluid, seamless shopping experiences as needs and preferences move from mobile ordering to in-store exploration, from delivery to squeezing your own tomatoes – all inter-changeably. Whether brick and mortar food retail is optimally positioned for this reality is unclear. What is crystal clear, however, is a shift in supermarket business models from selling e-commerce friendly boxes, cans and bags off shelves at velocity, to answering preferences for navigating the perimeter fresh grocery departments. This is where consumers increasingly labor to solve real-time meal and menu needs using ingredients they expect to cook. Shop at 5 pm and eat acquired food at 7pm. 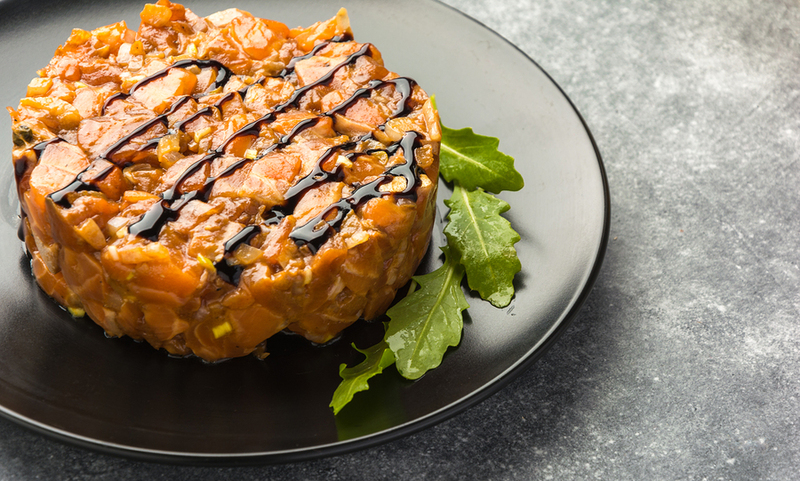 According to The Hartman Group’s “Transformation of the American Meal” report, seven out of 10 consumers currently eat scratch prepared meals at home. “Americans tend to agree that the best meal – the healthiest, tastiest and most emotionally satisfying is a freshly cooked homemade meal,” reports Hartman. Fresh, real foods are seen as healthier and higher quality. These items involve cooking. People want more control over ingredient quality, preparations and portion sizes; this includes seasoning and sweetening decisions. The emergence of meal kits also helps simplify the menu decision and the cooking process with partially prepped ingredients. Popularity of cooking shows and food websites/blogs, reveals the growing fascination with creativity and learning in food preparation and skills development. Cooking is back with a vengeance. Scratch cooking behaviors will vary in intensity and commitment from heat-to-eat prepared meals to creating an entire menu from whole foods. Somewhere in the popular middle are meal recipes that combine fresh food ingredients with some packaged or pre-made items such as pasta, stocks and baked goods. However you slice it or dice it, this is a bona-fied banquet of opportunities for food and beverage companies wanting to forge deeper relationships with consumers. How? By helping enable their passions in the kitchen. While food choices and possibilities are more abundant than ever before, time and energy continue to grow scarce. With time scarcity is the increased need for guidance, ideas and support in various forms that help consumers achieve their culinary passions (if not their day-to-day meal preparation needs) with minimal frustration. The friction for consumers grows in tandem with increased shopping trip frequency for smaller, meal-focused baskets. People don’t really know what they’re having for dinner, the most considered and mentally taxing meal of the day, before it’s just about time to sit down at the dinner table. What’s emerged is just-in-time food shopping aimed at creating a menu. Food retailers need to solve the meal trip phenomenon with more convenient in-store experiences (grab and go kits). Navigating a 60,000 square foot store for five to seven items will increasingly drive food shoppers online for easier click and collect or shortened delivery windows. We know that brand building in the consumer-control era begins first with empathy for shopper needs and interests. If a food or beverage brand wants to forge a deeper relationship, it will be founded on becoming more meaningful and valuable. It’s clear the opportunity here is to help solve these recurring ‘what’s for dinner’ challenges. Message and content creation opportunities here are virtually boundless. The opportunity to be relevant and valuable is compelling. But to be sure, this is one of those moments when brand voice and authenticity will ultimately separate the winners from the posers. If your organization lacks a fundamental passion for food and culinary experience, it’s doubly hard to bring relevance and proper context to marketing communication. Consumers are amply able to identify the genuine from the artificial. If your organization breathes the love of food and food experience, it will manifest in the quality of communication that drives brand value and engagement levels. Consumers will reward food brands that align with their needs by opting in to user communities. It is, indeed, the Golden Era of food marketing. Copyright 2016 Emergent Healthy Living. All rights reserved.